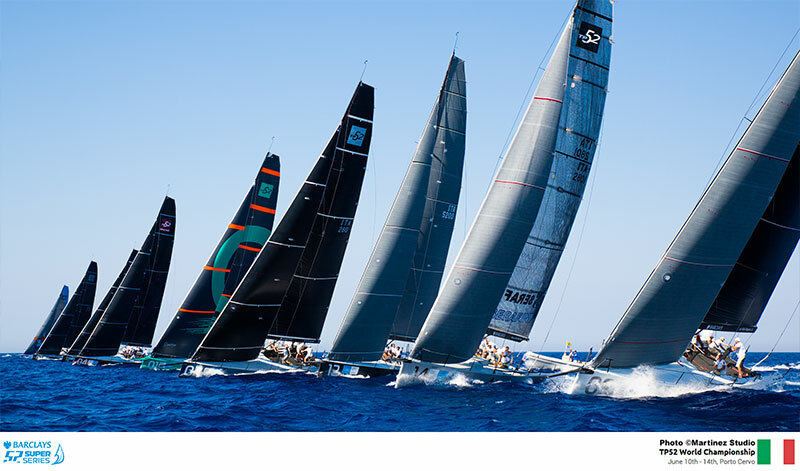 After the excitement of the Rolex Capri Sailing week in late May, the TP52 Super Series of regattas sponsored by Barclays Bank, moved on to the idyllic sailing location in Porto Cervo Sardinia, for the second challenge in the ‘best of four events’ 2014 series. The One Design Transpac 52’s are known for their lightness and high power to weight ratio, meaning that sailing downwind in a good blow they are regularly seen to be surfing at over 20 knots. This makes them a firm choice for highly competitive strong personality character types, who love to own and sail their own yachts. 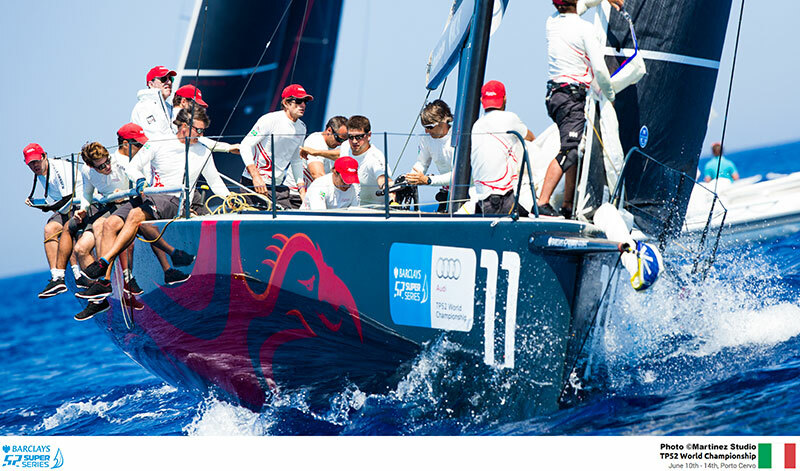 For instance the founder of Skype, Niklas Zennström owns and races a TP52 named ‘Ràn.’ Unfortunately for such competitive individuals, the wind gods don’t always cooperate with their wishes to duel it out on the oceans at exactly the times they have chosen to race, and the final day of the ‘Audi TP52 World Championship’ brought a long and frustrating wait for the nine teams competing in the event. After kicking off on 9th June and having some very closely run races, the final day’s racing on 14th was sadly not to be, and despite the Race Committee’s every effort to set a course in the soft and shifty conditions, it became an impossible task. 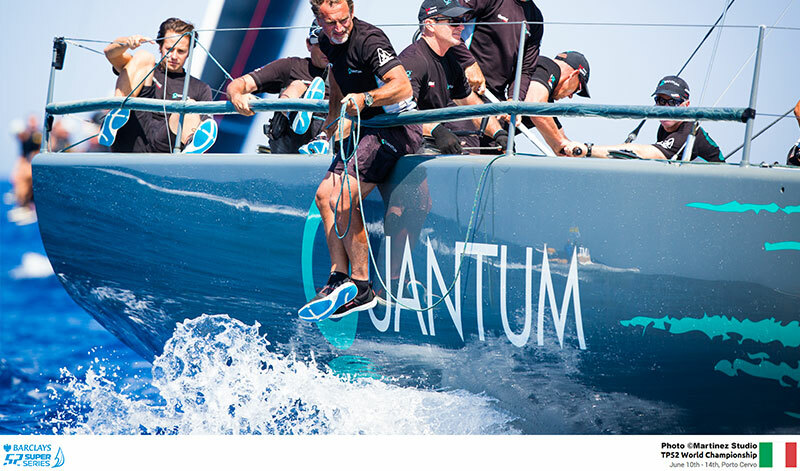 Therefore the overall classification from the previous day remained valid with Quantum Racing, owned by Doug DeVos, with Terry Hutchinson calling tactics, taking home the World Title for the fourth time. Class newcomer Eduardo Souza Ramos took second place with his Phoenix, while outgoing world champion Niklas Zennstrom with Rán only managed to claim third place. Riccardo Bonadeo, YCCS Commodore, commented on the high standard of racing during the final prize giving ceremony at the YCCS: “It was a difficult week because of some unusual conditions here in Porto Cervo but the Race Committee did an excellent job and we got in some great racing.